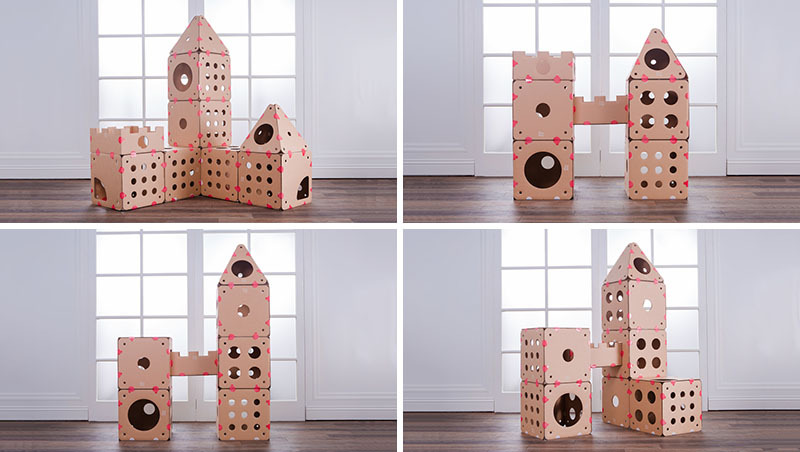 Box Kitty is really modular, it allows you to build the cat house/castle/skyscraper of your and your cat's dreams. 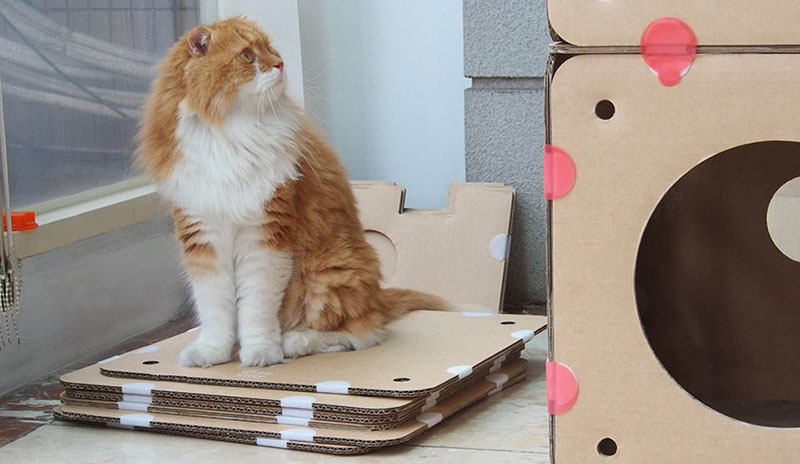 Box Kitty is really easy and fun to build, using simple hook and loop tabs, you can quickly build and rebuild. 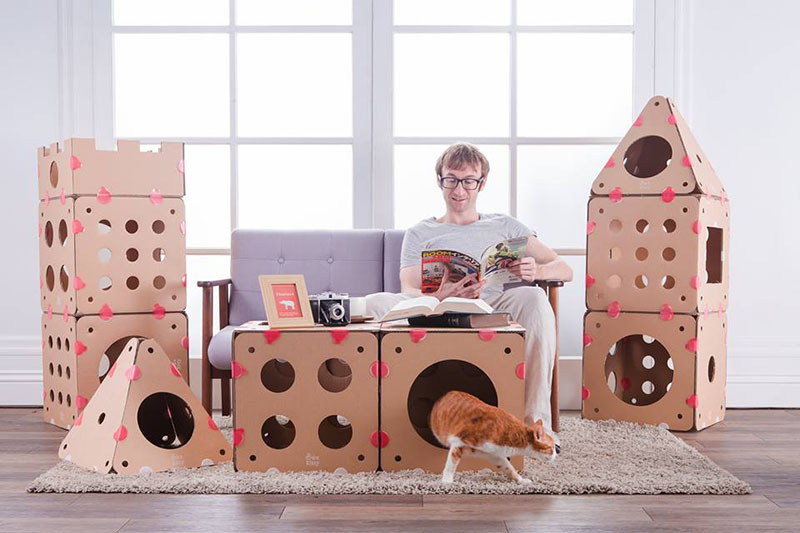 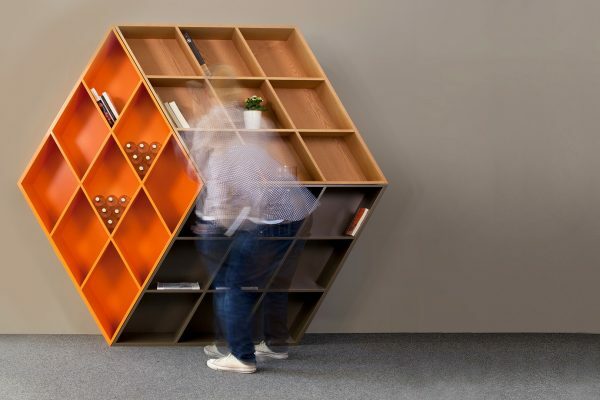 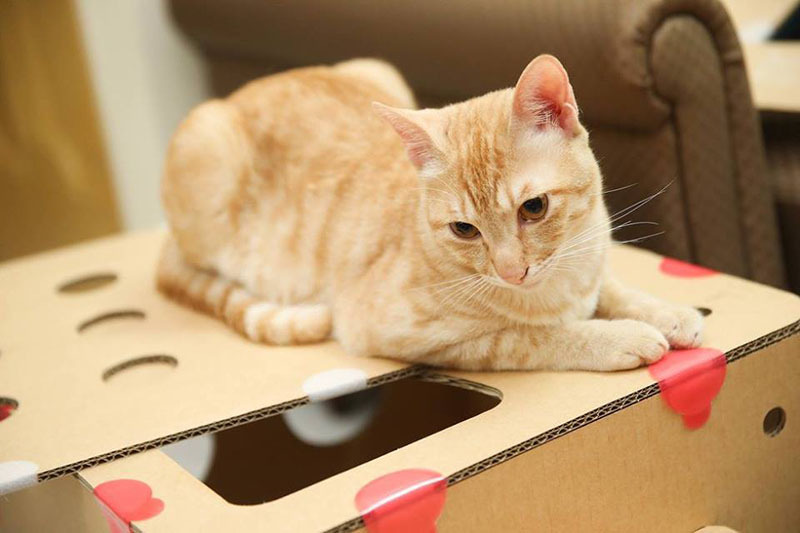 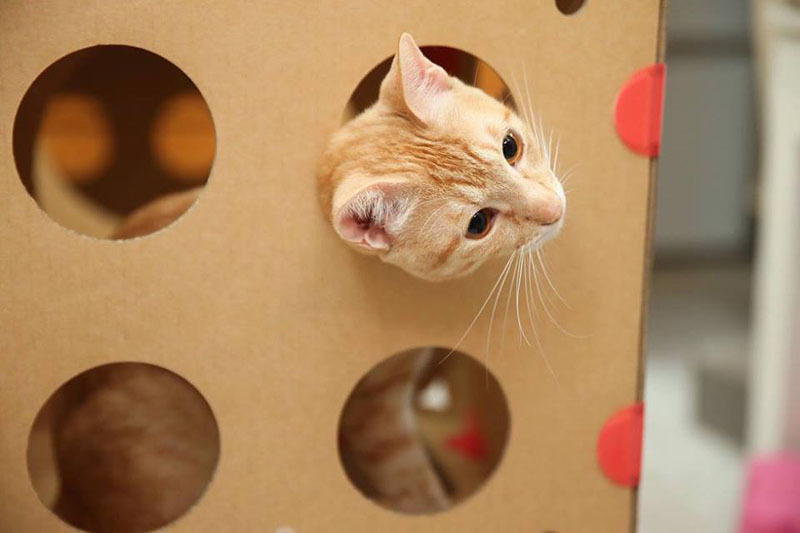 Cats love to play and Relax in Box Kitty even more than you will enjoy building it.